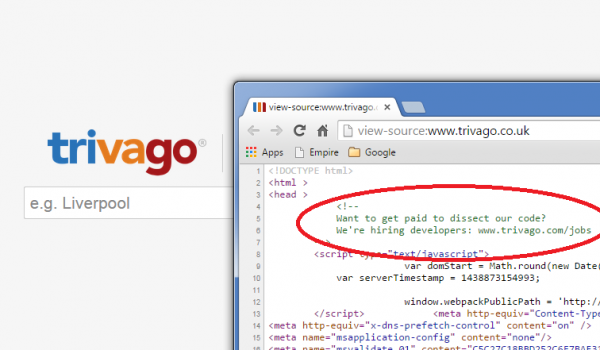 How to hire developers, why not do what Tivago has done! This appealed to my sense of mischief and belief that good developers are always curious, looking under the hood of what competitor sites or other sites from companies they admire are up to! First concert of the year with Regent Brass will be in St. Mary’s Church in Ealing.